I love adoption. I love it even more when families find creative ways to fundraise successfully and adopt debt-free. However, if you’re not adopting through foster care, then you already know there will likely be significant financial costs to pay before you finalize your adoption. In fact, the high cost is one of the primary reasons that less than 2% of Americans ever adopt. Fundraising for adoption can be frustrating and, at times, overwhelming. But it doesn’t have to be this way. Have you ever tried to lose weight or save money without setting a goal, making a plan, or having someone there to hold you accountable? I have … and every time I failed to make any real progress. The same principles apply to adoption fundraising. Unfortunately, most families dive into fundraising without setting goals or creating a plan that will help them get across the finish line with their sanity in check. Adoption is more personal than losing a few pounds or saving a couple extra bucks. We’re talking about a child. And not just any child. This is the child that will become part of your family forever! Before trying to accomplish anything–losing weight, saving money or adopting a child–always start with WHY. Everyone’s “adoption why” is different, but more than likely yours includes providing a loving family and home for a child. Your goal is to find a way to come up with the funds necessary to pay for all the expenses that will enable you to adopt. Your plan includes all the activities–like submitting grant applications and putting on adoption fundraisers–that will help you reach your goal. I recommend that every adoptive family go through this process and write down the “Why?” If you don’t know where to start, download the free Adoption Funding Kit to get started and create a plan. If you follow these steps, it will save you time and frustration. I promise. Don’t forget to talk with other adoptive families that have successfully fundraised. They are great sources of information, accountability, and encouragement. 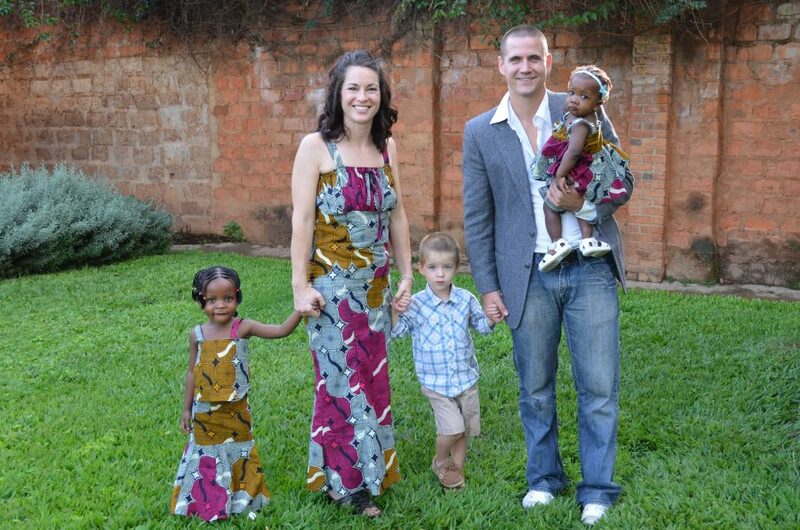 You can easily find and connect with these families at church, on social media, through adoption blogs, and at adoption and orphan care conferences. Learning from the experiences of others is invaluable. It can give you confidence that you, too, can overcome the enormous financial obstacle of adoption, help create realistic expectations, give you tips to successfully fundraise and apply for grants, and identify fundraisers that are right for your family. If you find yourself in a situation where you’re frustrated and struggling to raise funds for your adoption, make sure to have at least two or three families that know what you’re going through whom you can contact for support and encouragement. Remember Your Why – Fundraising can be difficult; on those days when it becomes too much, remind yourself and your spouse that your child is worth it. Set Your Goal – Aim high and make adopting debt-free a priority; review all of your known expenses and add 10% for unknowns that are sure to pop up. Develop Your Plan – Prepare for success; identify all the grants and fundraisers that you plan to do, set dates and funding goals for each activity. Form Your Support Group – Community is crucial; surround yourself with people who can pray for you, encourage you, and rally around you long after your adoption is complete. Thank you for sharing these helpful fundraising ideas, Jeremy! This post is pure gold. Jeremy Resmer is the author of Fund Your Adoption: A Step-By-Step Guide To Adopt Debt-Free, the co-founder of fundyouradoption.tv, and an adoptive parent. Feel encouraged by this post? Leave a comment to this family to show your support!